First of two nights at the Suncorp Stadium in Brisbane and on the thirtieth anniversary of his death, the spirit of John Lennon was with us. The Queensland audience went ballistic at this point and why wouldn't they? Beautiful to hear North Star, one of unreleased songs back in the set and to hear Adam at the microphone, thanking the people of Australia for their generosity. 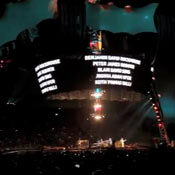 'Dear Prudence' announced 'Streets' and at the end of the night, Bono added: 'Goodnight Brisbane, Goodnight John Lennon'. Was it a good night for you? 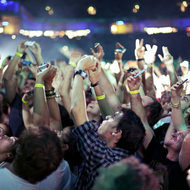 If you were at the show add your own review and upload your photos. Went all the way to Brisbane from Malaysia. Waited 17 years to finally got to watch them LIVE! And I have not gotten over it yet...I don't think I'd ever will. Just makes me more determined to see them again and again even if it means flying to the Land Down Under again. 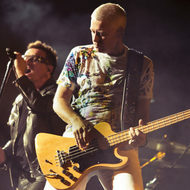 To me it was ABSOLUTELY a DREAM for me...Loved all tracks played that night, highlight would be when they play City of Blinding Lights also a firm fave for me...Not sure if I could wait another 4 years before I could watch them live again...perhaps see them in the States or in Dublin ;) U2, you guys RAWK!!!! I can't believe I've still got post gig blues, 6 days after the event! Had the privelege of spending a Beautiful Wed night with my neighbours and this incredible band! 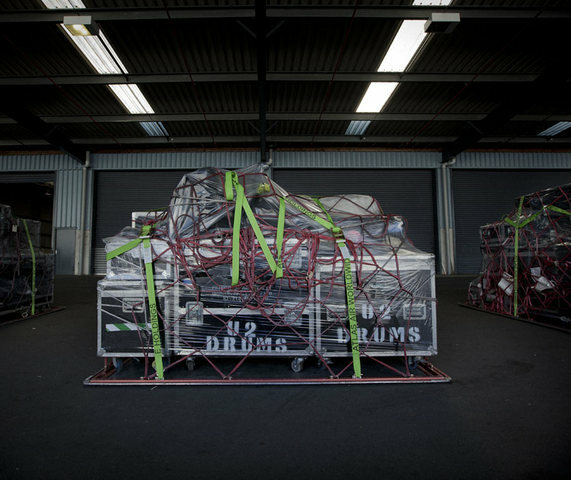 U2 evolved and revolved and blew us away with all aspects, music, lighting, performance, energy, creativity and memories for a lifetime. My 4th concert and fan since the start '78! 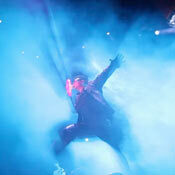 Bono's voice is better now than when younger, The Edge - one of the top 5 in the world. 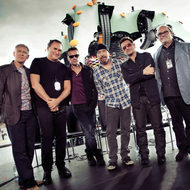 U2 are the biggest, uneqivocally the Best band recorded and better LIVE! 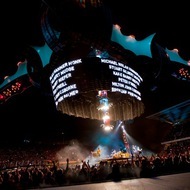 Thank you next time I will attend how ever many concerts are in Brisvegas! Wish I had bought tickets to Thurs too. 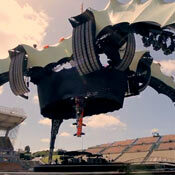 LOVE U, U2! to many hilights the night was just amazing! I struggled to get tickets to the Wednesday concert when it was announced and regretfully I couldn´t get them. It was amazing that a second concert was announced and I was there, singing, dancing, feeling the vibe and trying to understand every single thing as an espectator and as engineer because the whole show and the stage were unbelievable. When I heard Miss Sarajevo, I thought that Pavarotti would be missed, however Bono did such a wonderful interpretation that was a true homage to the great tenor and to all the victims of that terrible war. The repertoire was beautiful. 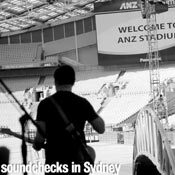 They had to say goodbye three times because the audience didn´t let them go, something completely unusual in a Brisbane concert. 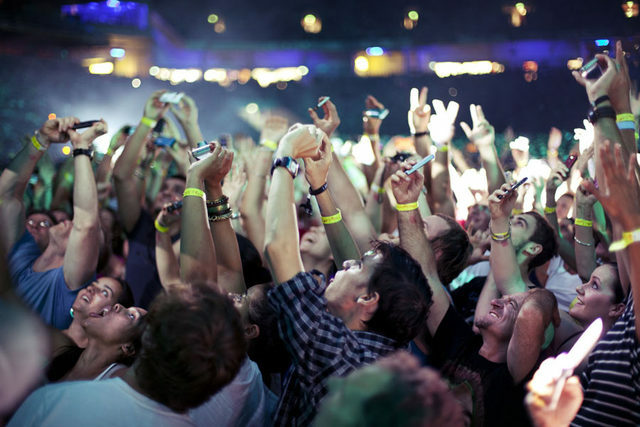 The vibe and emotions were colse to the warmth of any concert in my home continent of Latin America. What a unforgettable night! Thank you so much guys! Fantastic! No other way to describe the performance the boys put on. 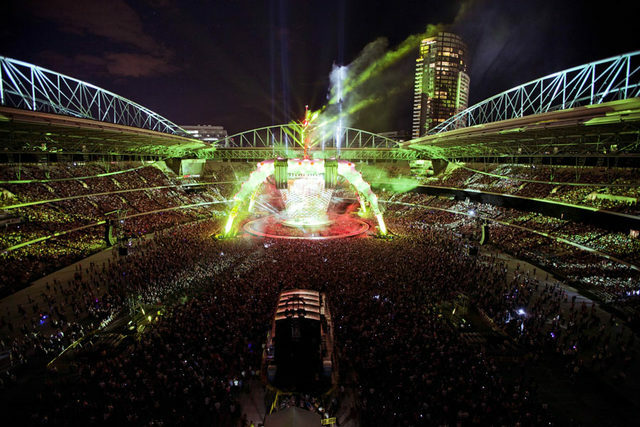 This would have to be the BEST concert that I have been to that was performed infront of such a large crowd. Have been a big fan for over 20 years and would see them again and again and again!!!! Guys, it was so good! Thanks so much for the good music and especially Miss Sarajevo (Bono, your Pavarotti bit at the end was gripping). I danced, sang like a maniac, smiled and even shed some tears - that's because your songs have strong messages that dig deep into people's hearts). That's what music should be like, moving. Well, guys you are definitely moving and you are moving the world around you - you should be proud of it!! Also you seemed to be having lots of fun out there, it's great to see! Keep having fun! Thanks so much and hope to see you again sometimes. Wow, what can I say that hasn't already been said. Both shows were awesome to say the least. 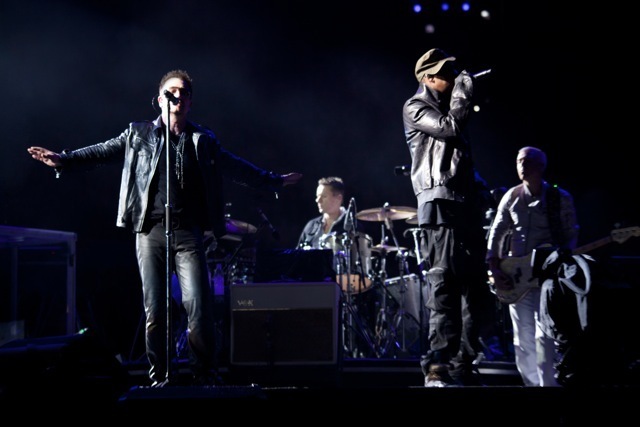 Thanks U2 for putting on two amazing shows, you are the best. Agree with some other comments that Brisbane/Australian audiences aren't always the most lively but this was the best vibe I've seen in Brisbane over many tours. 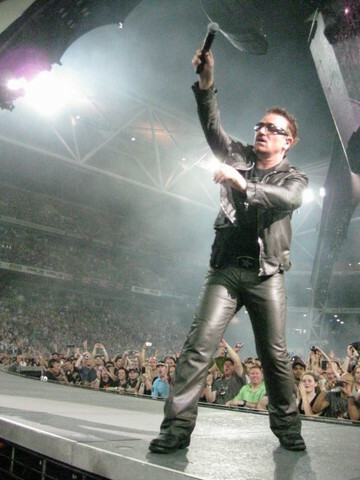 Suncorp Stadium is a far superior venue to ANZ Stadium used previously with a lot more intimacy and the band were having a very good night from where I stood in the Inner Circle, Bono was genuinely pleased with the crowd interaction. Streets and City just never lose their live appeal. Huge. To Bono, The Edge, Larry and Adam thank you for a great night out. I am also appreciative of the efforts of the staff behind the claw. THIS SHOW ROCKED EVEYONE THAT WAS THERE. Disregard any comment to the contrary. 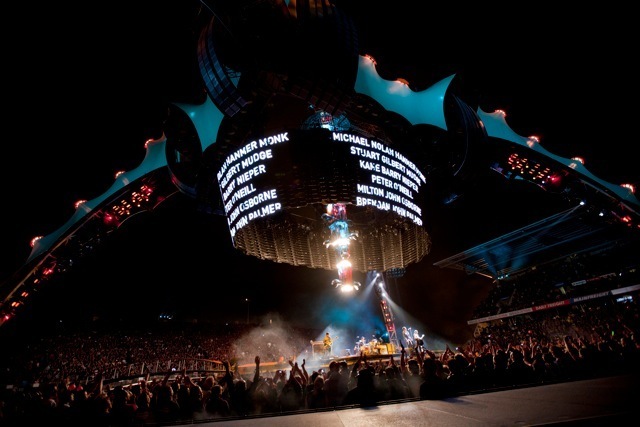 Mysterious Ways was a visual and audio highlight. You guys are welcome back anytime. what a fantastic show. sound was amazing - best i've ever heard - and the view from my seat was spectacular. the stage was a lot bigger than i realized and i was sitting a lot closer than i had thought. highlights of the night for me were beautiful day, i will follow, get on your boots, magnificent, until the end of the world and miss sarajevo. i was surprised that they played north star and pride and i was a little disappointed that they didn't play mercy or hold me, thrill me, kiss me, kill me like they did on thursday but it was still an amazing show. 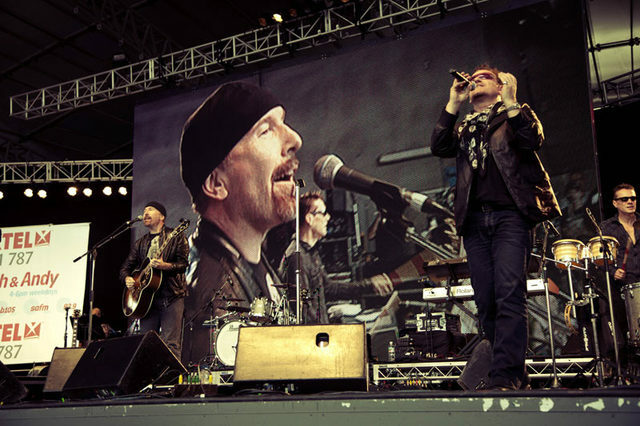 the boys were switched on last night - bono sang great, particularly in miss sarajevo when he did pavarotti's part and the edge was on fire all night. it was a blast. 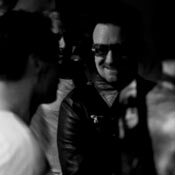 I only have praise and highly respect U2 as probably the most creative and talented geniuses on earth. I am sure that if an astronaut was up in a shuttle whilst the boys were playing they would have seen from a vast distance away the magnificent spectacular that was the lighting show of the claw. 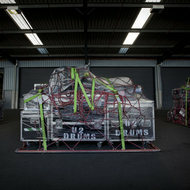 Pure genius to create such a world class mind blowing structure to accompany such a world class mind blowing group of musicians, that being U2. 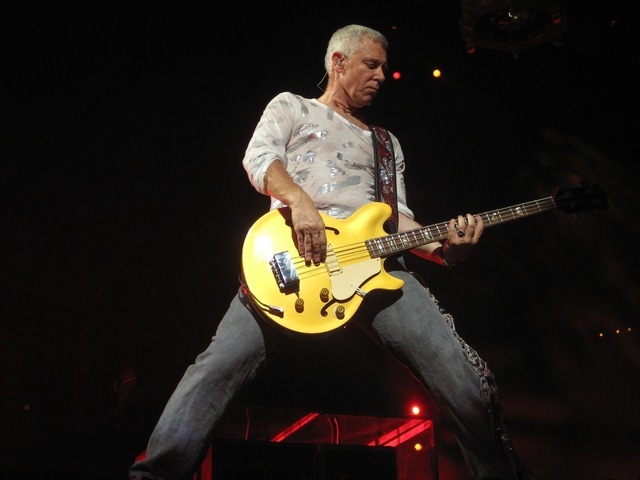 I am sure that myself, the guys in U2 and all the other troopers who saw the show are blessed. I woke up to blue skies on Wednesday and couldn't help but sing "It's a beautiful day!" Yes, the fact that the weather had cleared was definitely an omen for the incredible night that was ahead! U2 absolutely blew me away! I've been waiting for this concert for years and it exceeded all of my expectations. I wanted to touch 'The Claw' to make sure that I wasn't dreaming. 'With Or Without You' was probably a stand-out part for me... Truly amazing!! Overall, it was simply the most amazing concert I've ever been to... and will probably ever go to! 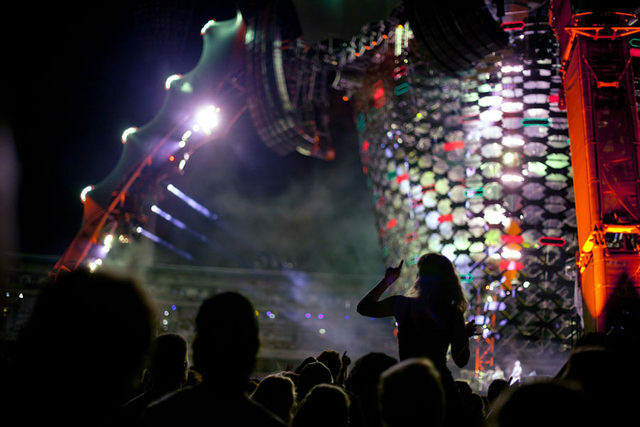 It saddens me to think that the Spaceship is now leaving Brisbane... but the memories and the music will be cherished forever. Witnessed pure genius at your show. Didnt want it to end. You make spirits soar...amazing musicians. We are all still on a high from your show....almost 24 hours since. The best of the best...thank you! 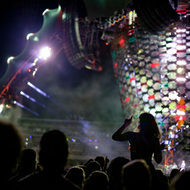 This concert was awsome. 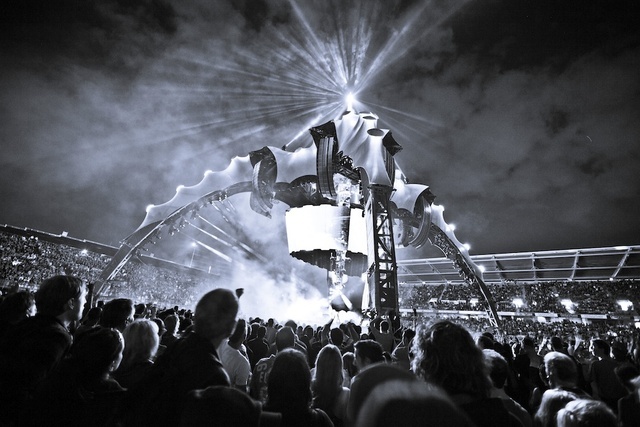 Shame i had to travel back home to central queensland the next day... Would go again at the drop of the hat.... Bono and the band sound just as good live, if not better than recorded... Hands down the best night i've ever had..
How many bands in this world span can 3 decades and continue to amaze and delight us?? 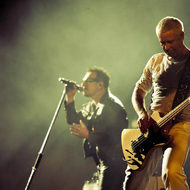 U2 are the greatest of all time!!! 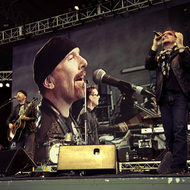 I was front row in, just in front of The Edge and it was absolutly Brilliant!! The best part for me was when he pulled the girl from the crowd and sang to her while lying on her lap and then singing Miss Sarajevo on the bridge almost above me. I'm not ashamed to say I sobbed. I truely love you guys, You are the greatest! A fan since 1983! My first U2 concert and was not disappointed,was brillant.Loved I Still haven't Found What I'm Looking For,Sunday Bloody Sunday and Vertigo being my favorites on the night.Great sound and what a light show. But was disappointed ina couple of things.First waited in line for nearly 30mins to buy a shirt and then tol me they ran out of Large size.And paid $179 and was in the back row on top deck miles away.Know others who paid around $100 and was so much closer.But over all brillant concert. Wow - what a mindblowing stage! 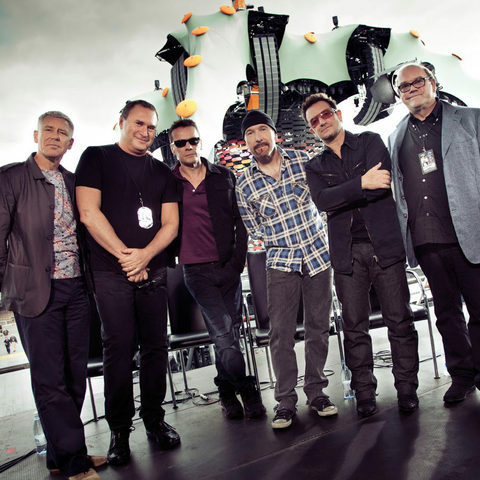 It could have dwarfed many bands but not U2. 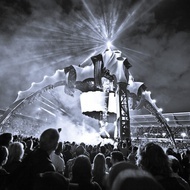 Thank heavens Bono had something going with the rain god - he lifted up his arms and the clouds parted!! I was sooo worried driving up from northern NSW in the rain but we ended up with a perfect night. All the right songs played to perfection - perhaps a few too many slow ones though which brought the crowd's mood down a bit but there was still a lot of quiet enjoyment and appreciation in those times. 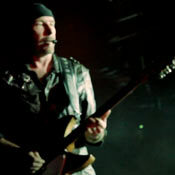 I love watching The Edge, he is the perfect serious foil to Bono's energy and he does have such a sweet smile! Thanks for the AMAZING show! I loved every minute of it, and that you spoke about some pretty important humanitarian issues that people should know about! I loved "Where The Streets Have No Name", my section seemed to really get into that! 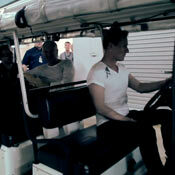 I bet the girl Bono pulled up on stage will be buzzing today!! Thanks again for an amazing shows and for all of the work you do. You can tell these guys have been doing this for a while. I'm not too sure that many groups can play a 2hour set of straight hits that have defined decades and a generation and walk off and say well we could keep going for a few more hours! Just amazed how thought out this was. I was is general admin and I felt like I was right at the front! Some of my photos I am amazed. 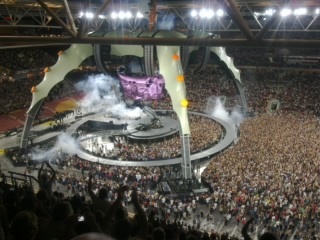 Thank-you for the most memorable concert I have been to in my life time. Loved every minute of the show - the lighting, special effects, stage design, the performance in the round (keep that) and of course, the song list - brilliant as always!! 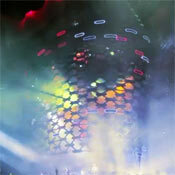 Thank you for playing "One", "Magnificent" and "Moment of Surrender" - just beautiful. 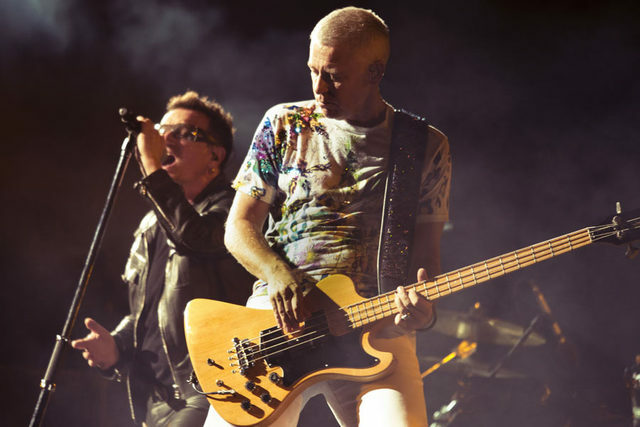 When I listen to U2, I feel grateful that I am an alive... living in a country of "white sandy beaches" whilst sipping on "coloured drinks".... lol. 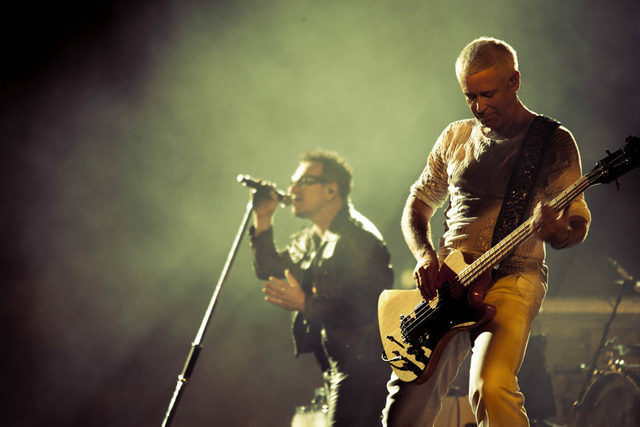 U2 - you are welcome to visit our tropical paradise - anytime. 2010 has just become one of my top 10 most memorable years to date. 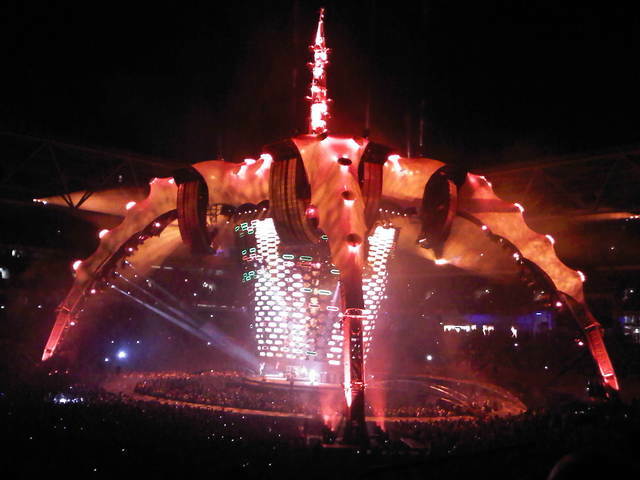 The best show I've seen by U2, seen the four tours in Brisbane previous. 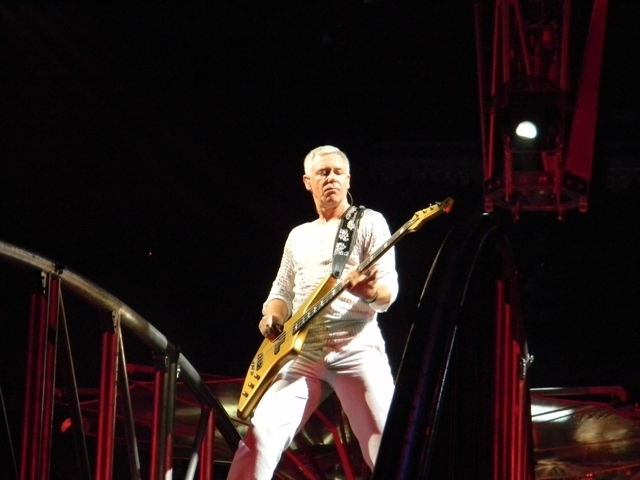 Seeing the guys so close in RED zone was awesome, Magnificent,Until the end of the world,Mysterious ways favs of mine. What an awesome show!!! 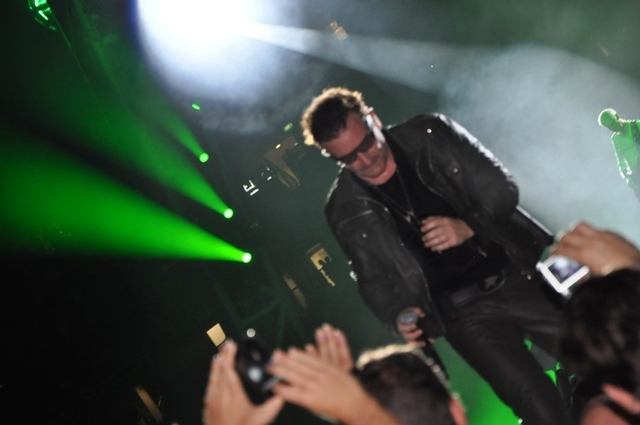 This is the best U2 tour ever!!! Staging is absolutely fantastic and even from the farthest away seats possible the view was spectacular. The claw is amazing!!! But what was that shirt of Adams??? Sequins??? Surely not a U2 wardrobe item. Besides that tiny glitch the whole night was a blast and the best concert I have ever been to.Most memorable moment was when the crowd sang Still Haven't found what I'm Looking for. 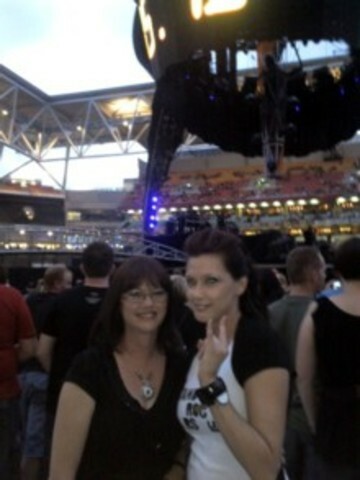 Thanks U2 for another awesome life experience. It was a BEAUTIFUL DAY for me since I woke up yesterday morning knowing it was the day for the concert. I got on my boots and head from Gold Coast to Brisbane extremely excited about it. I'm simply speechless!!! I love you sooooo much guys and you delivered yesterday such an A M A Z I N G show!! Can't find the words to thank you all for such a MAGNIFICENT time!! I was thinking I'LL GO CRAZY IF I DON'T GO CRAZY TONIGHT and of course I went over crazy!! 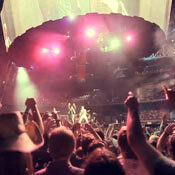 But I have to agree with Maarcy Brisbanites come one loose yourself you are watching U2 playing LIVE!! I'm from Argentina and tell you all was really disappointed with the audience yesterday, even in Sydney audience is way much better!! I'll upload some pictures later, took over 100 oooooops!!! Thank you again for this INCREDIBLE OUT OF THIS WORLD SHOW!!!! 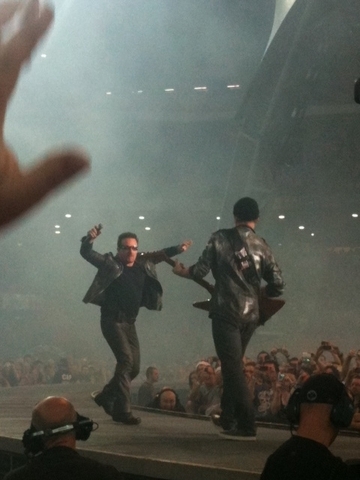 My very special U2 moment was capturing this shot.